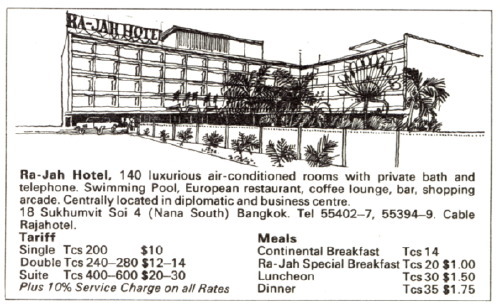 The Rajah Hotel opened in 1966 on Sukhumvit Soi 4. The original 5 story wing was joined by a larger tower a few years later. By the late nineties, the Rajah had become somewhat neglected but in recent years the original wing has been revived as Rajah Mansion, operating as a hotel/serviced apartment offering daily, weekly and monthly rates. 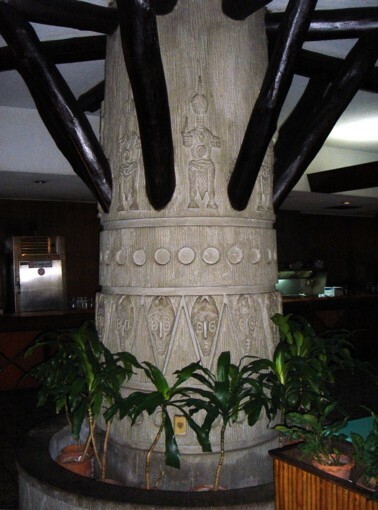 In 2009 the tower has also been revived with renovations to the lobby and coffee shop. 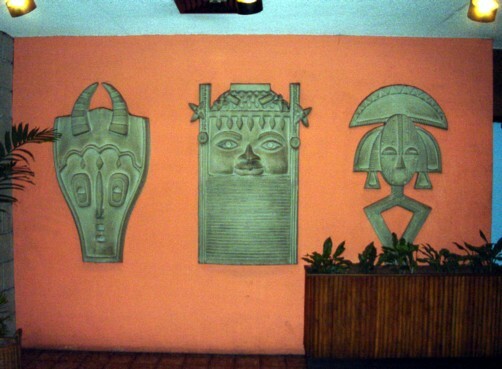 The hotel coffee shop features an attractive Tiki theme left over from a the early 1970s. 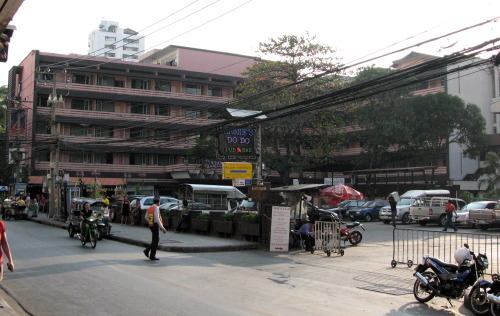 It was then home to the South Seas Bar, an early entrant in the Soi 4 Sukhumvit entertainment scene. The Tiki Bar Coffee Shop provides a nostalgic 1950s atmosphere, from a time when the tropics,from the South Seas to Southeast Asia, seemed exotic and full of adventure.